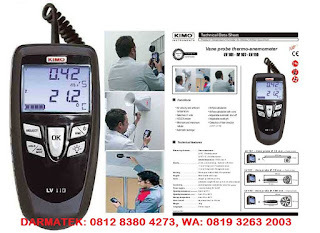 Jual KIMO LV 101 - LV 107 - LV 110 Vane Velocity and Airflow Temperature. 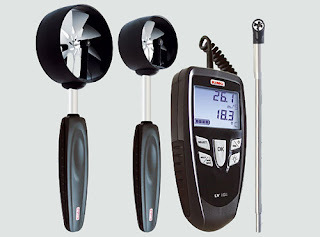 KIMO LV 101 - LV 107 - LV 110 Vane Velocity and Airflow Temperature. Display......................................2 lines, LCD technology. Sizes 50 x 34.9 mm.